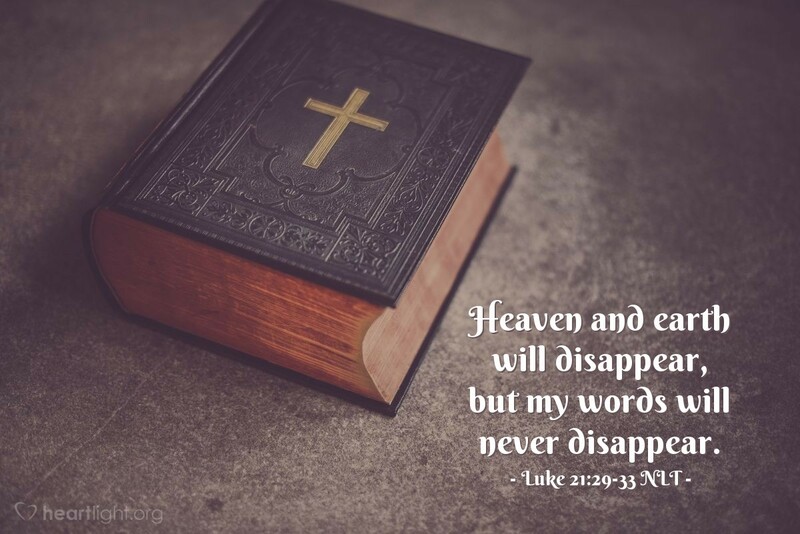 While the Temple will become rubble, Jerusalem will be destroyed, and the heavens and the earth will pass away, one thing will last forever: Jesus' word! His promises are faithful and secure. His words are true and lasting. So let's give thanks for his word and for his sharing it with us. O Father, thank you for the message of Jesus and for every word he spoke and every promise he made. Help me as I seek to learn them, to incorporate them into my daily life, and to build my future upon their truths and promises. In Jesus' name. Amen.